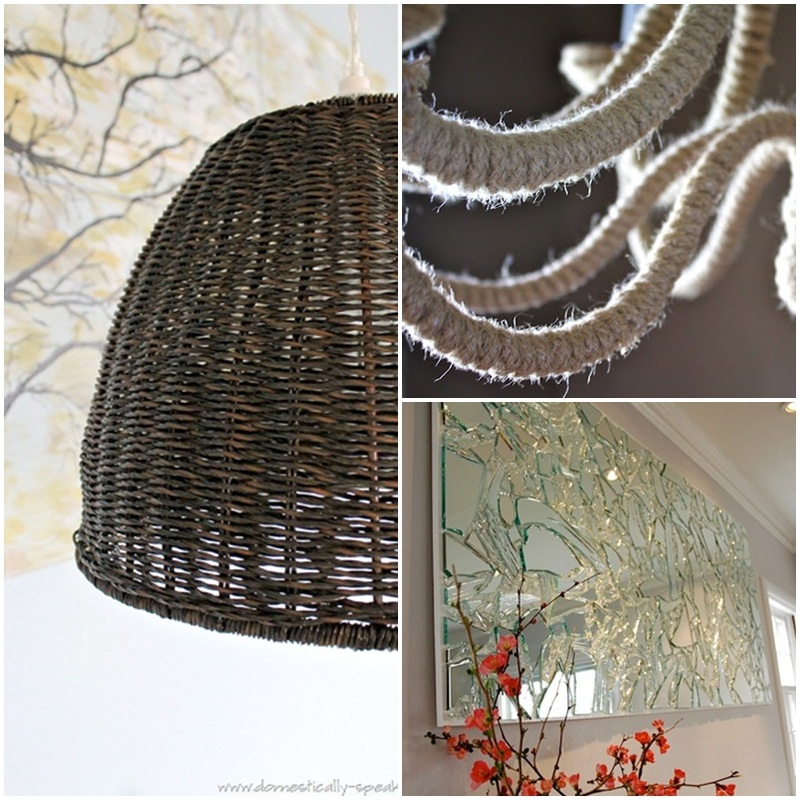 Here are a few home DIYs that caught my eye recently. Maryann at Domestically Speaking made this West Elm-ish pendant light from a waste can. Jordin from I Love That patiently remade a chandelier with rope. Rebekah from Potholes and Pantyhose rescued a broken mirror and turned it into wall art. Wow I love the broken mirror idea--especially paired with that orange orchid. I wonder if its a silk orchid or live?